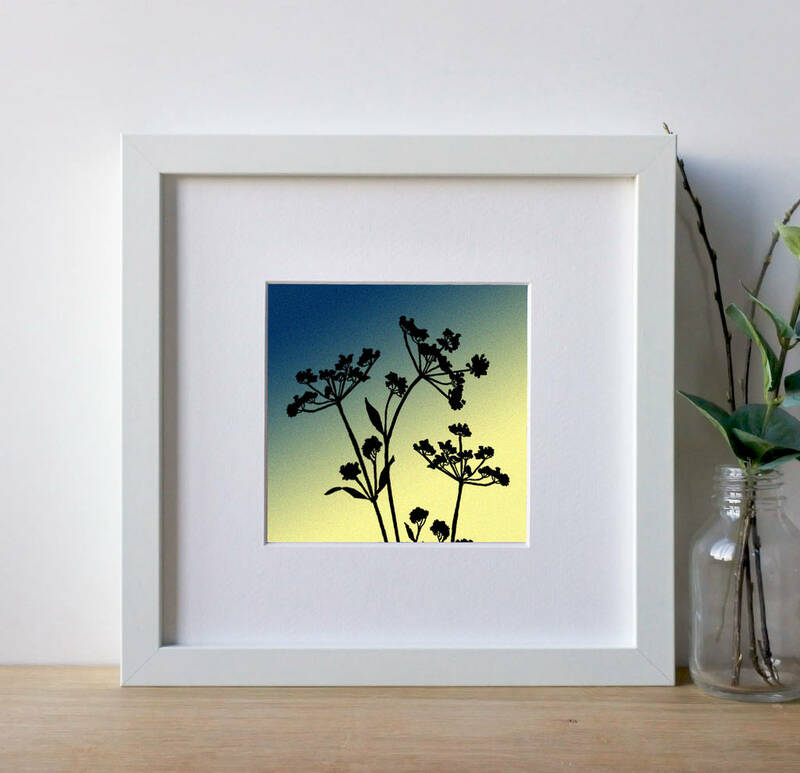 This is one of my images from the flower collection, the silhouette drawing of Cow Parsley looks striking against any of the toned coloured backgrounds. 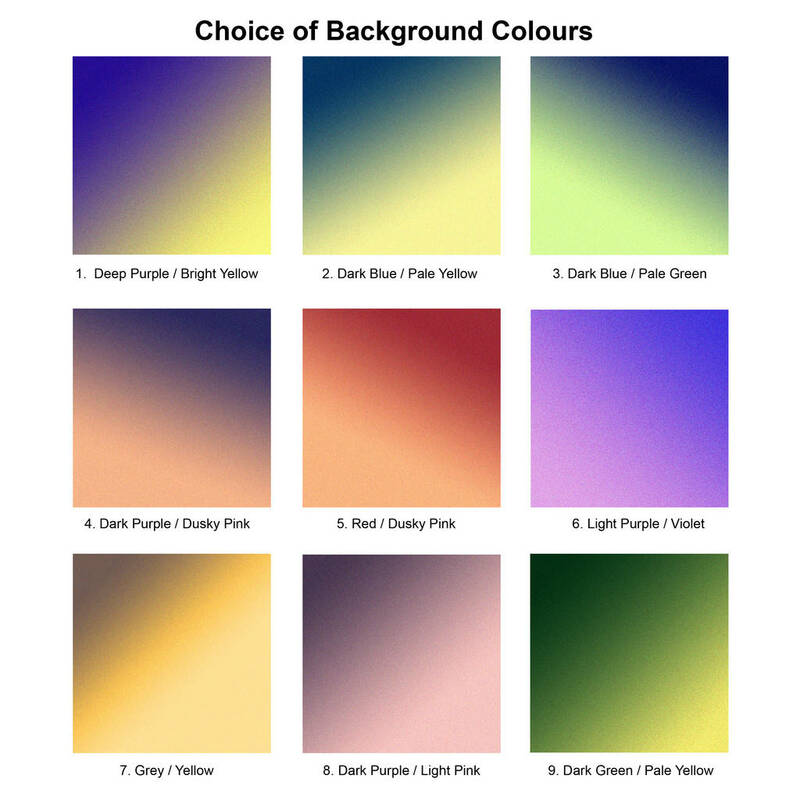 It is printed on archival paper to help preserve the colours from fading. 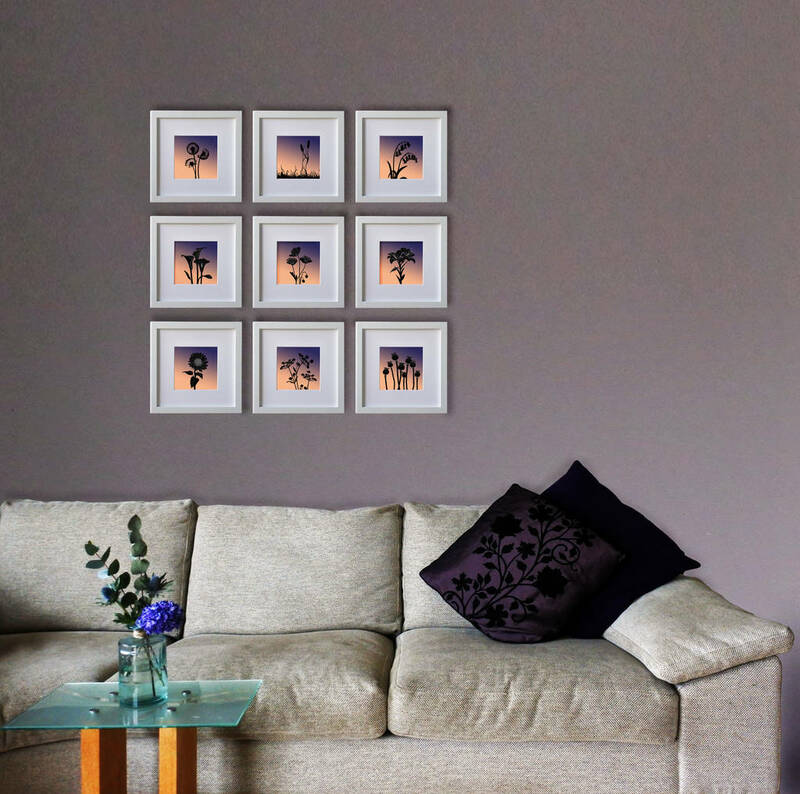 The picture comes ready to hang, or looks equally good displayed on a shelf. 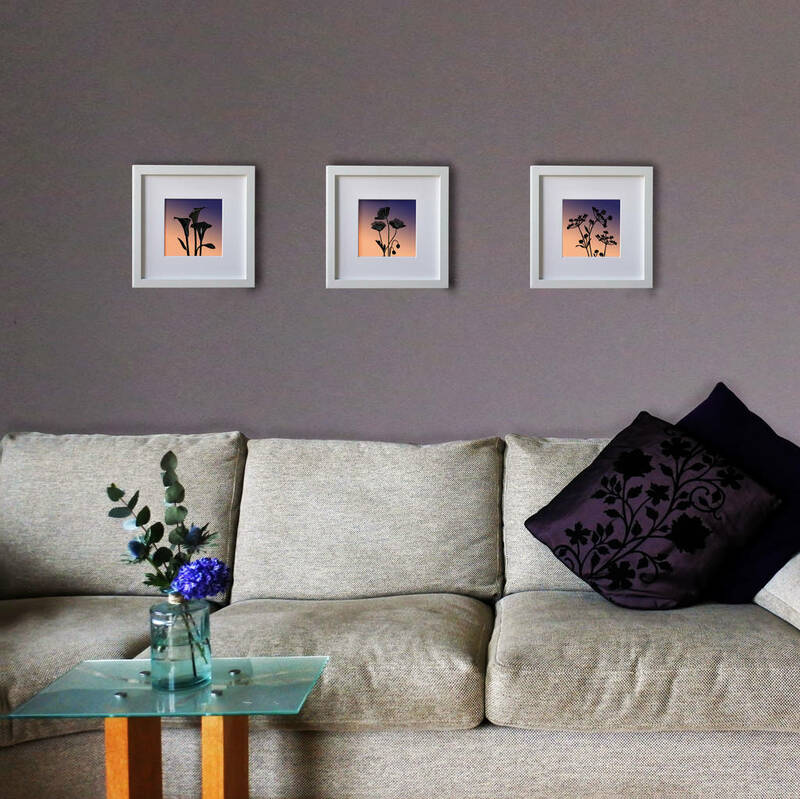 You can display several of the framed flower images together to create a stunning wall display. It would make an ideal gift for anyone who loves nature, plants, flowers, gardening and the landscape. This is a high quality giclee print on 230g matt paper. This means that it is printed on archival paper, with archival inks & will not fade.